Hi! And welcome to the second week of One Room Challenge. 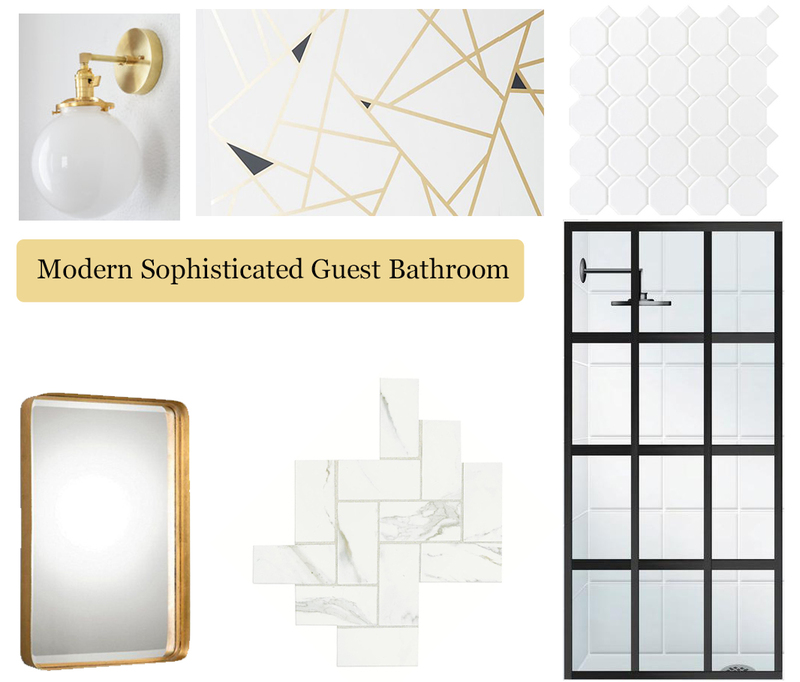 Last week we started working on the guest bathroom and this is my design plan for the bathroom. This week was not so fun, to say the least. I got the dreaded email that my wallpaper is on backorder till May 4th. 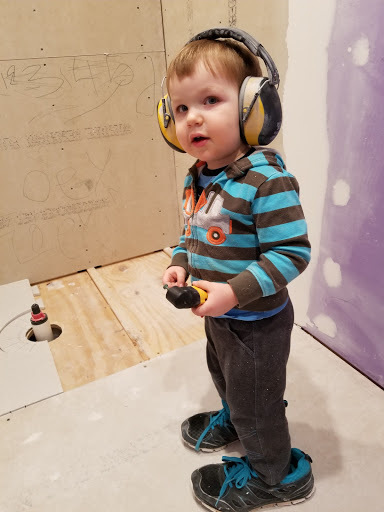 I am stubborn enough not to want to change it but will our project be completed for the reveal? I doubt it, but still hoping for an earlier ship date! 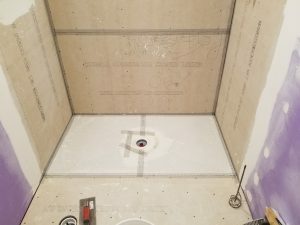 I also received the quote for the shower doors from my initial design plan and they have a turn around time 8-12weeks. Now that is not going to work. I am trying to come up with ideas on how to get a similar look for less but until then back to the design board. Not looking pretty, but we’re getting there. 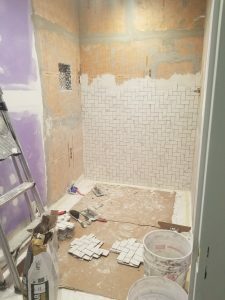 Next week we should have all the tile up and grouted and start building the vanity, priming the walls and fun stuff like that! Don’t forget to head on over to The One Room Challenge page to check out the featured designers and bloggers and all the other participants. I know I love seeing everyone’s progress!